Make it! Vancouver....Here I come! It's amazing how fast time has gone by....it's April already! Since the last time I posted, much has happened. I helped coordinate the Gifts for Myself and Others show for the Island Artisans Assoc. My husband's off on training in the other side of the country, so I'll be single mom for awhile also! But that won't stop me from creating though! 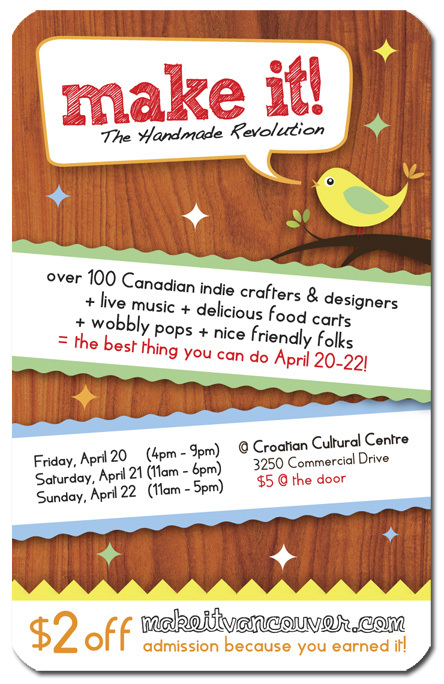 This coming week, I'll be in Vancouver at the Make it! 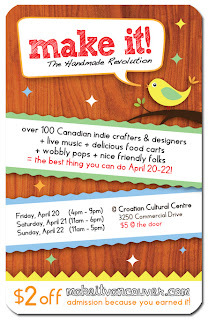 Show from April 20-22. If you're in town, please come by for a visit and see what I've been working on recently. Hope to see some of you there!